Kevin Sampson first wrote Awaydays in 1982. That version was an awful lot slimmer – about 60-odd pages – and concentrated much more on the fashion and music side of the story. He started the book after The Face, the U.K’s style bible through the 80s, had turned down an article he wrote about the way Liverpool’s football lads had pioneered a way of dressing at the match in the late 70s. In declining the article, The Face’s Editor Steve Taylor implied that, as this was a youth cult he didn’t recognise, it was too marginal for the magazine. Rejection is one of the most powerful motives in creation, and Kevin was determined to get the story out there. I decided to set Awaydays in late 1979 for a few reasons. One big thing I wanted to do with the book is to show how, six months into their first term, Margaret Thatcher’s governement was already sewing the seeds of discontent and disillusionement among Merseyside’s youth. It was like watching a virus start to take a hold – the symptoms start to show, then people start to drop, one by one. I tried to show that through Elvis’s gradual disintegration. But on the positive side, there was also the Liverpool indie scene that centred round Eric’s and Zoo Records. Both the Bunnymen and Teardrop Explodes released their first singles in 1979, and there was a real sense of something new and brilliant happening. I wanted to weave all those things in – the unique look of the boys at the match, the music scene and the start of Thatcher’s gradual undermining of the working class in general and Merseyside’s youth in particular. The 1982 version was only ever sent to Penguin, who rejected it in unambiguous terms. Kevin didn’t put himself through the humiliation again. He concluded that the world of publishing was dominated by remote academics who would never in a hundred years get the point, or the appeal of Awaydays. The Face came back a year later, in July 1983 and asked him to re-submit the article he’d written on Liverpool’s match lads. By then Wham! had begun cavorting in Fila tennis shorts and the London media was alive to these crazy young Casuals (how can a youth cult so dedicated to fine detail be called “casual”, by the way? As ever, with this thing, the style commentators badly missed the point, and the moment). But getting published by The Face opened the door to the magic kingdom for Kevin, and he began to write regularly for The Observer, The NME and Arena. 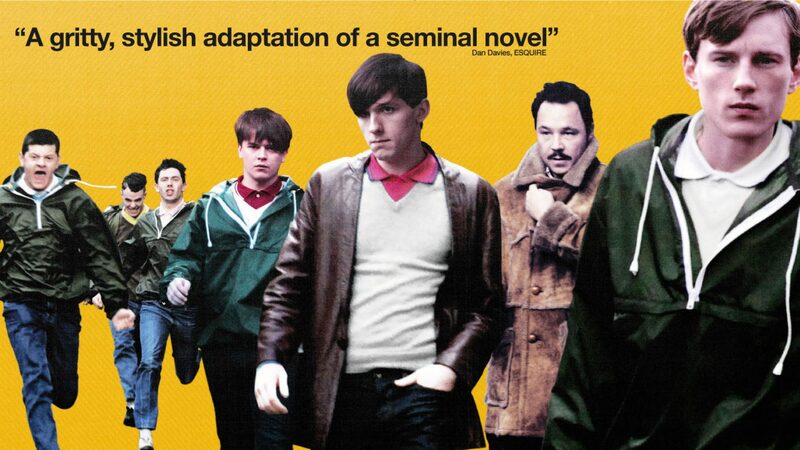 But if it weren’t for Irvine Welsh, Awaydays may well have remained a lost classic. The publication of Trainspotting in 1993 was a landmark moment – Kevin’s literature equivalent of Punk Rock. This time round the publishing world agreed. In May 1997 four publishers bid for Awaydays, with Cape securing a two-book deal acquiring Powder, too. Awaydays was published as an Original Paperback by Cape in March 1998, the Vintage paperback following in April 1999. First Editions of the Cape Original now change hands for hundreds of pounds. Click here to purchase Awaydays at Amazon. 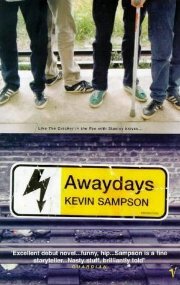 Awaydays is to be rereleased with a new cover on the 7th May 2009. Click here to find out more on Amazon.